Woodgate Farm House is a fabulous oast house situated in the small hamlet of Oad Street in rural Kent and can sleep fourteen people in seven bedrooms. All bedrooms have en-suite facilities and two of the bedrooms are on the ground floor both having full-size wet rooms. 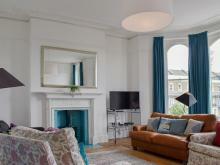 Both floors offer full-living accommodation. 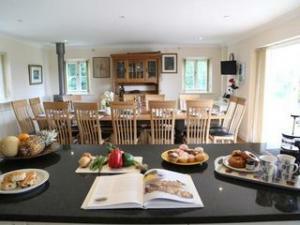 The first floor has a spacious open plan living area complete with kitchen and a dining area for fourteen guests. 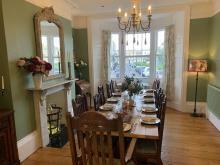 The ground floor has a separate kitchen and a dining and sitting area for six people. Outside there is off road parking for eight cars and a garden with patio and furniture. Woodgate Farm Oust provides luxury accommodation and is in a perfect location for exploring all that the area has to offer. 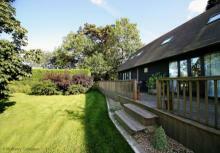 Plenty of space in this elegant farmhouse, games room and large garden, set in countryside you won't want to leave. 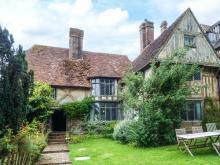 Period Barn Conversion With Garden, Sweeping Views And Outdoor Heated Pool. 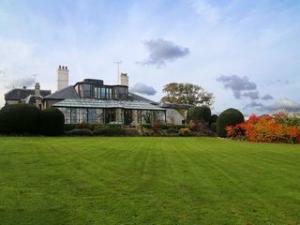 This large house is located near to Edenbridge in Kent and can sleep up to seventeen people in seven bedrooms. 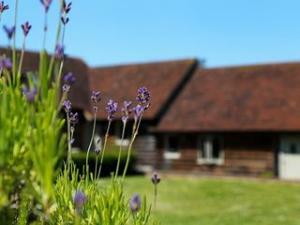 Family friendly barn complex ideal for a get together with a separate games room for all to enjoy. Escape from the city and discover the delights of the New Forest, or the hop fields of Kent; great walking in the South Downs, and so much to do on the Isle of Wight.